Looking For The Best Nail Clipper for Large Dogs? Here’s a look at our favorites, including our top pick – Dog Nail Clippers and Trimmer by Boshel. Trimming your dog’s nails should be a regular part of their grooming routing. Untrimmed, overgrown nails can lead to breakages, snags, discomfort, and injuries. On a slightly selfish note, they also tend to scratch wood floors and damage furniture inside the house. 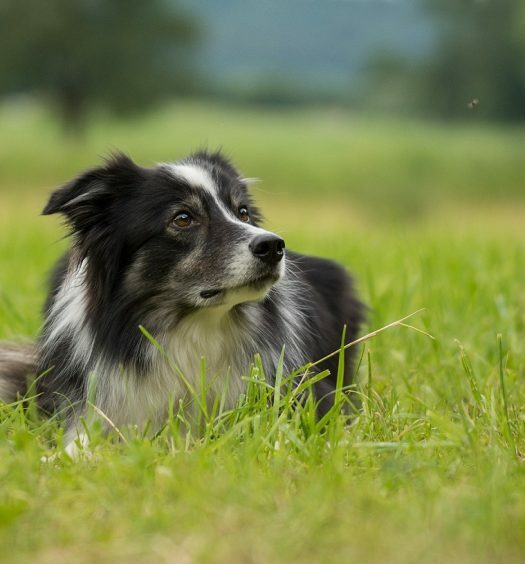 Trimming a dog’s nails can definitely be a hassle (especially if your dog isn’t accustomed to it), but the process becomes a lot easier with a good set of clippers. 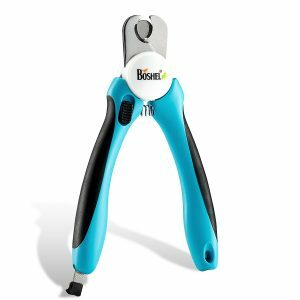 When it comes to pet nail clippers, just about every set of shears out there will do the job. But you don’t want a pair that just does the job—you need a durable set of clippers that consistently delivers clean, smooth cuts. If you settle for a subpar set of clippers, it’s going to be painful for your dog and miserable for you, and the clippers will end up collecting dust in the garage because nobody wants to go through the hassle. Do yourself and your playful pup a favor and invest in quality clippers. Stainless steel blades – top-quality clippers should have stainless steel blades. “Heavy-duty” blades usually have 3.5mm blades that make it easy to cut through a large dog’s nails without having to trim in stages. Sharper blades also offer a cleaner cut, lowering the chances of ragged edges that lead to snags and discomfort. 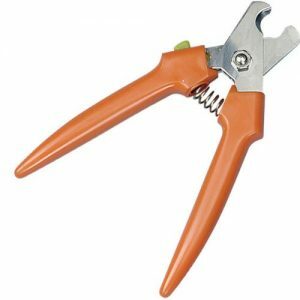 Ergonomic grip – a good set of clippers should have an ergonomic handle that conforms to your hand, with a rubberized non-slip grip to reduce the chances of accidental slipping, sliding, and injury. Poorly-designed clippers without these features will require much more grip strength and will leave your hands cramping every time. 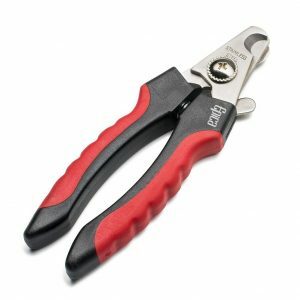 Locking mechanism – when it comes to any type of clippers, safety is important. Nail clippers are engineered to slice through tough nails, so they’ll have no problem breaking skin if you accidentally run your finger across the blade. There should be a locking mechanism on the handle to make sure the blades are safely bound shut when stored. 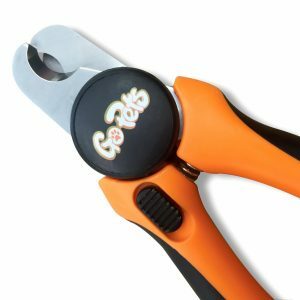 Safety guard – some nail trimmers come with a safety guard attached to the blades to keep you from over-trimming your dog’s nails. Over-trimmed nails are extremely painful for your dog, so it’s helpful to have this feature to prevent injury and pain. 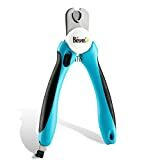 The Boshel pet nail clipper is a great pick for medium – large dogs and cats, and it comes highly recommended by professional groomers. The powerful blades are made of high-quality 3.5mm stainless steel, making it easy to trim your dog’s nails with a single cut. The premium blades are guaranteed to stay sharp for years, so it’s an investment that’ll last you a long time. The handle is ergonomically designed for maximum comfort, with a firm, non-slip grip to prevent accidental nicks and cuts. The clippers have a safety blade to reduce the risk of over-clipping your dog’s nails, making it easy for first-time-groomers to start trimming dog nails without having to worry about injuring they dog. As a bonus, the clippers also include a nail file that’s stored discretely in the handle. This GoPets nail clipper set is another quality option for medium – large dogs and cats. The blades are made with 3.5mm stainless steel, ensuring smooth, sharp, and quick cuts. It includes a quick sensor safety guard to prevent over-cutting, and the lockable handle allows for safe storage. The large handles are also covered with a non-slip grip for easy handling. This set also includes a nail filer that slides right into the handle for convenient storage. These #1 best nail clippers are engineered for precise, consistent cuts. The blades are made of high-grade stainless steel, so you’ll never have to worry about rust, scratches, or bending. 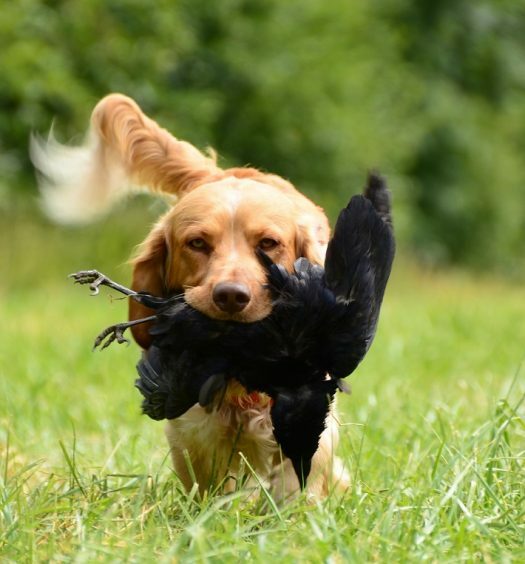 They’re extra sharp, with optimal blade spacing for medium – large breed dogs, including collies, bulldogs, sheepdogs, spaniels, German shepherds, golden retrievers, Rottweilers, Dalmatians, Great Danes, and Irish setters. It’s easy to lock the clippers for safe storage in between grooming sessions, and the rubber-coated handles offer a secure, comfortable grip. Every pair of clippers is backed by a lifetime warranty, too, so you’re guaranteed a dependable, durable product. Millers Forge makes fantastic quality nail clippers. The German stainless-steel blades are sharp and precise, and the Italian-made heavy-duty construction means they’ll last for a very long time. They’re recommended for dogs over 40 pounds. 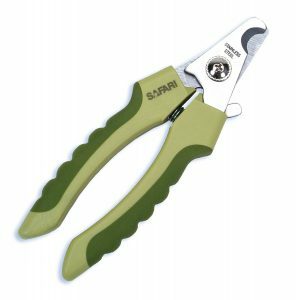 Safari Professional Nail Trimmers are made with the finest quality stainless-steel, ensuring you get a durable, sharp cutting edge. The trimmer has a safety stop and a comfortable, no-slip grip to prevent injuries. They’re intended for medium – large dogs. Each of these clippers is highly reviewed and widely recommended, so you can’t go wrong with any of them. I would personally lean towards the Boshel or the GoPets clippers since they both come with a bonus nail filer, but the other three are just as sharp and durable. It’s important to start trimming your dog’s nails when they’re young so that they’re used to the process when they’re older. 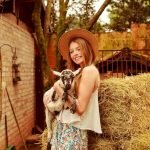 If you start trimming your dog’s nails when they’re grown, they may fight the process and it’ll take longer for them to grow accustomed to it. For optimal results, most professional dog groomers recommend cutting your dog’s nails immediately after they get out of the bath. At that point their nails will be slightly softened, making it easier to get clean cuts without chips, splits, and breaks. It also makes it a little easier to file their nails to a smooth finish when you’re done. If you’re having a difficult time seeing your dog’s nails, you can apply baby oil to make them a little easier to track. 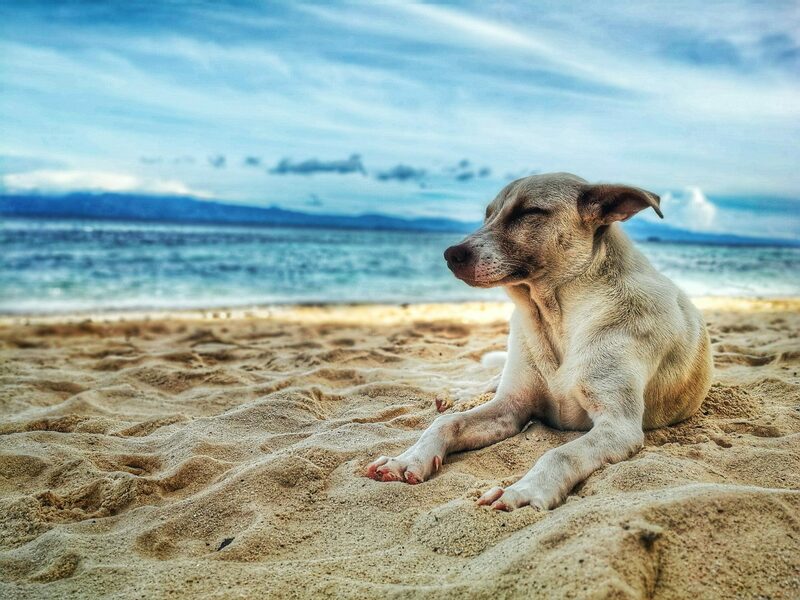 If your dog’s nails are a longer than normal, it’s a good idea to cut off the tips and wait up to a week before you finish trimming their nails.